You know, I’m proud to admit that it’s my first time visiting Carl’s Jr like ever, which was quite recently after several years of them operating in Jakarta, but apparently, not my first burger. Well, to be honest, having a delivery and to review something about the restaurant would not be fully fair – unless for Chinese food since in a way, they are a kind of food that we can always reheat and enjoy until the next day with a small margin of decreasing quality, provided that the food came from good restaurants as well. But in a case about burgers or other kinds of fast food, it deteriorates fast and it’s not fair to actually judge the quality right away. That’s why a visit to Carl’s Jr at their recently opened branch in Plaza Semanggi (replacing the old spot used to owned by BK), was an eye opening experience for me. You could even say, it’s a revelation! If Carl’s Jr is the man that I could meet right now, I’d shake his hand and I would say to him that he’s a bravado, a no nonsense cowboy from the Wild Wild West. How could he not? In the wake of so many factors that lead to the shrinking of size of burgers like KFC’s Colonel Burger or BK’s, the fight to keep the burgers sold at the lowest price is probably caused by the people’s never ending appetite on chicken and rice in any fast food joints. Apparently Carl’s Jr still stands tall and proud with their premium choices, despite of this reality. When I say premium, it may not be as affordable as you can find somewhere else but the burgers are clearly packed with flavors and awesomeness. With that came also the size – BIG! They still do have economic sets actually but it would be a waste not to spend and have fun sometimes with their signature burgers. Without further ado, with the addition of eating with peace of mind due to their halal-certification, I would like to present the bold Western Beef Bac Cheeseburger. Please take my note here. Have the double patties for this one! Not only that their BBQ sauce beats BK big time in terms of taste and that aromatic acidity that everybody loves from the sauce, they have cheese in it, the bacons as well as onion rings. Honestly, I’m still wondering until this moment whether Indonesians love their onion rings or not but for me, onion rings are everything! 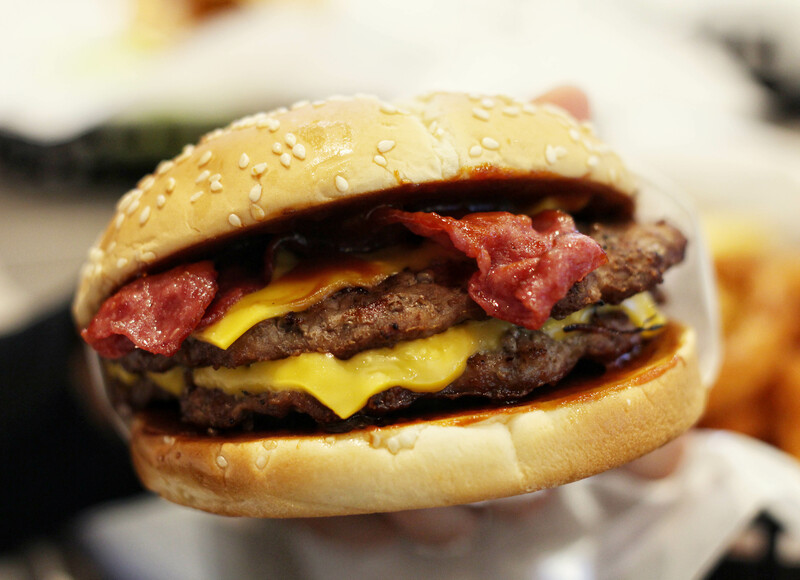 Now that leads me to another temptation that I successfully overcame – the Mile High Burger! 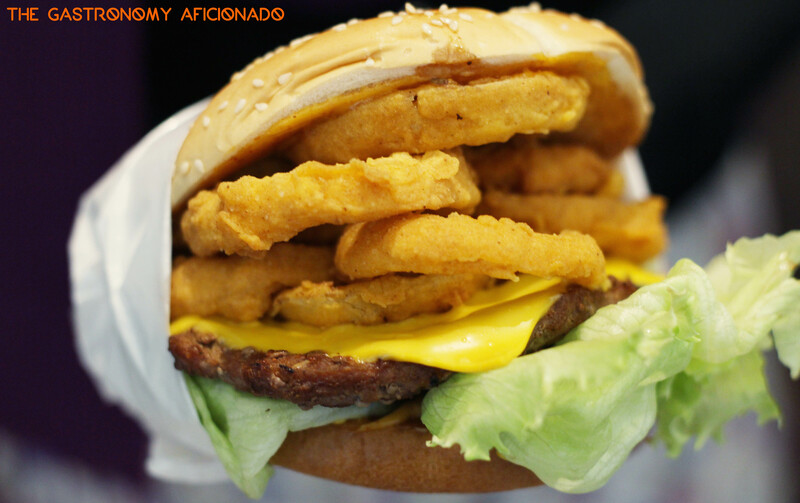 I’ve never seen onion rings stacked up so high above the juicy patty and cheese! Not only that it’s fulfilling but they gave the crunchiness that you won’t find in any other burger. I have to be honest though, I’m still infatuated with their BBQ sauce, so this brand new burger comes as second. 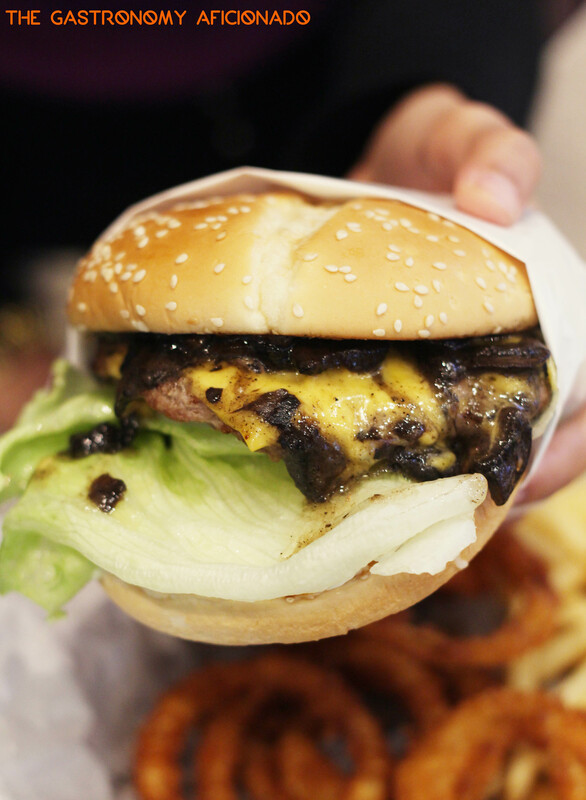 But looking at the picture, it’s a sure must-try burger right? So finally, it’s time for a tie between the last, but not least, two burgers that utilizes portobello mushrooms and charbroiling technique respectively. The charbroiled chicken was just great. It retained its juiciness while also presenting itself perfectly grilled and just beautiful. The charbroiler was a special device that requires special skills in grilling as well. That’s what makes the chicken burger so special. 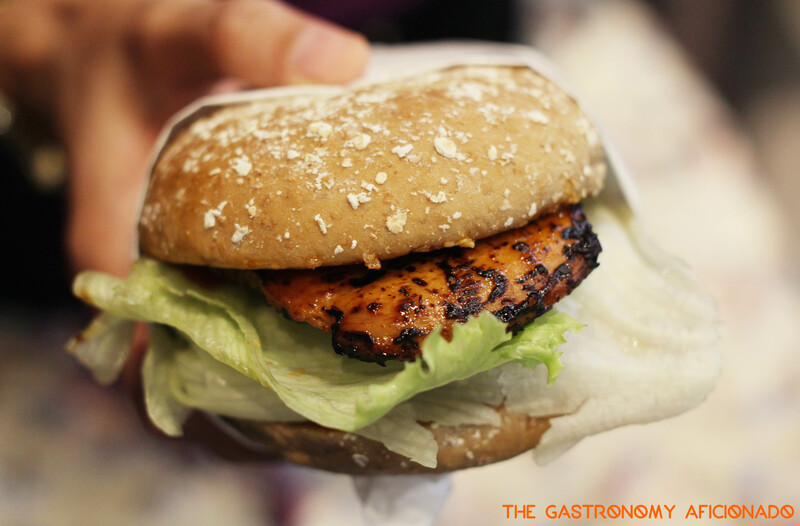 Meanwhile, the portobello mushroom burger has everything in balance in terms of nutrition coming from the harmony between the proteins and vegetables, but it also gave way for indulgence with the patty, the sauce and the mushrooms. It’s a good, safe choice for everyone, but for me, again, I’d rather have that double patties with BBQ sauce! With that kind experience, it helped me a lot to see burger business nowadays. Objectively speaking, it’s good for customers so that they can choose what they actually want based on what they have in the pockets. Burger business has become so influential in big cities nowadays and we can always choose to do budget or splurge at the same time. With Carl’s Jr meddling in as a really good alternative in-between, we can actually experience what’s it like to have a good burger that came with good price, but not reaching as far as splurging. It doesn’t feel cheap at all of course, but you can enjoy the size as well as the quality that they have devised for the customers. On top of that, the free flow drink is also the advantage clincher for for this burger joint. That’s why you can rest easy. Have that free flow drink and great fries with your burger, hang out a bit longer there because Carl’s Jr apparently has good coffee from Caffe Vergnano and sockets that comes with wi-fi, because Jakartans (and Indonesians) are too fond of spending time more browsing but also chatting over good food!